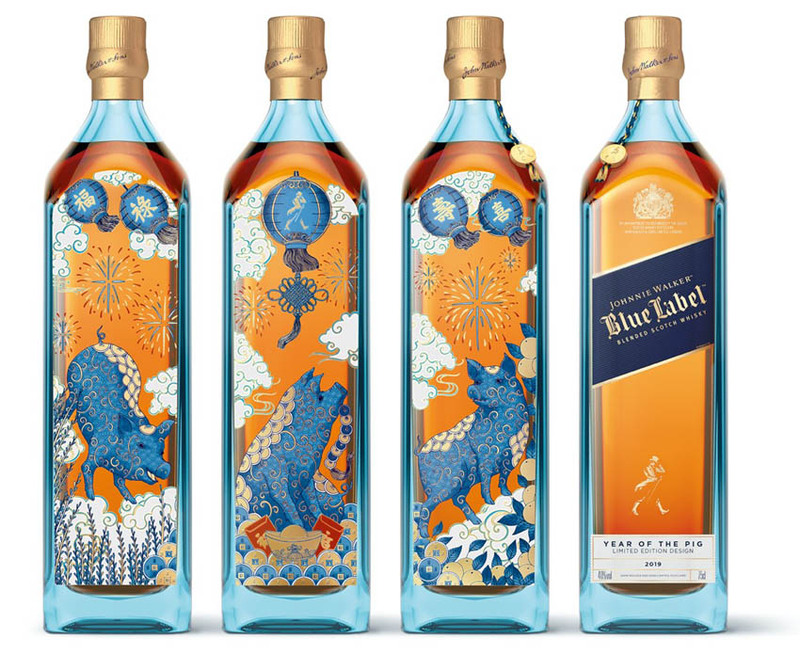 Diageo has released the sixth instalment of its Johnnie Walker Blue Label limited-edition series, recognising 2019 as the Year of the Pig. Chinese New Year begins with the new moon after 21 January, and 2019 will see this on 5 February, ushering in the Pig as the year’s animal of the zodiac. The pig is seen as a symbol of prosperity, generosity and abundance. Global leader Johnnie Walker is releasing its Blue Label Year of the Pig limited-edition design, containing the velvety smooth whisky that recently won gold at both the International Spirits Challenge 2018 and Scotch Whisky Masters 2018. Diageo report only one in 10,000 casks in Johnnie Walker’s massive reserve of more than 10 million maturing Scotch Whiskies has the depth of character required to craft Blue Label, each containing rare single malt and grain whiskies from across Scotland, including Caol Isla, Benrinnes, Cardhu, Clynelish and the ‘ghost’ whisky Port Dundas. “The limited-edition Johnnie Walker bottle’s unique and intricate design brings to life the animal bringing good fortune to all as it rejoices in the arrival of the New Year,” offered the release.